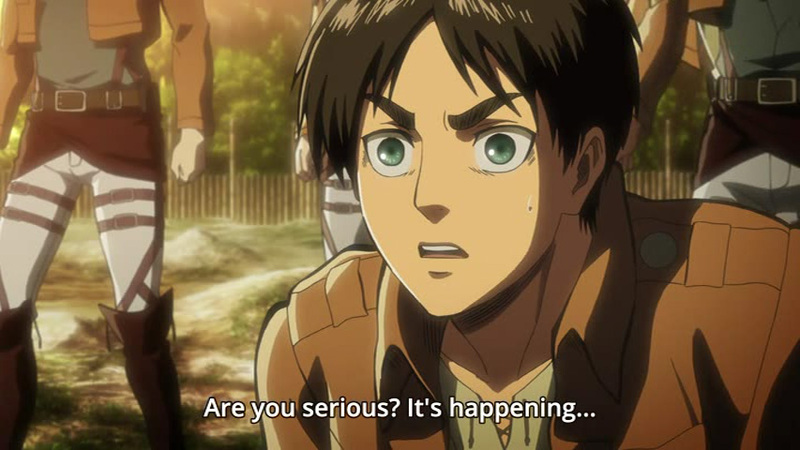 When Attack on Titan season 2 was announced, fans were understandably excited – and for good reason. The show boasts a uniquely horrific premise, exhilarating action, and heavy drama, making it one of the most exciting anime to come out of Japan in recent history. 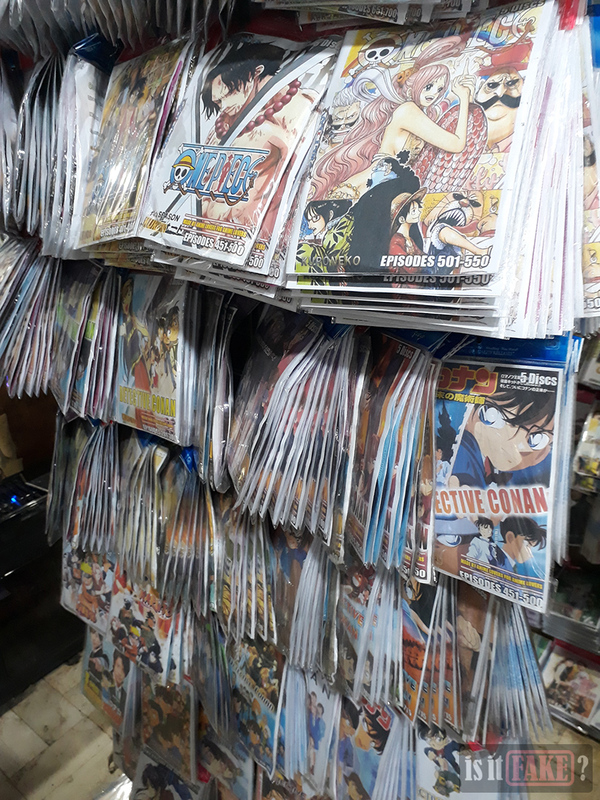 We’ll tell you right now where you shouldn’t buy anime DVDs: small, seedy stores by the side of the street, in markets selling low-quality or secondhand goods, and in the darker corners of some malls. In such stores, you’ll find plenty of bootleg DVDs – some of which will most probably have the “KuroNeko” name and logo stamped on their sleeves. A quick Google search won’t result in information about any authorized anime distributors/licensing companies called KuroNeko. This alone should be a red flag. A company that has nothing illegal to hide won’t hesitate to tell you all you need to know about it – from where you can find its offices on the map to its phone numbers and emails. A legit company would most probably also direct you to an official website, where you’ll find more pertinent information about its history, personnel, products and/or services, etc. Police have already raided a number of shops selling Kuro Neko’s DVDs. 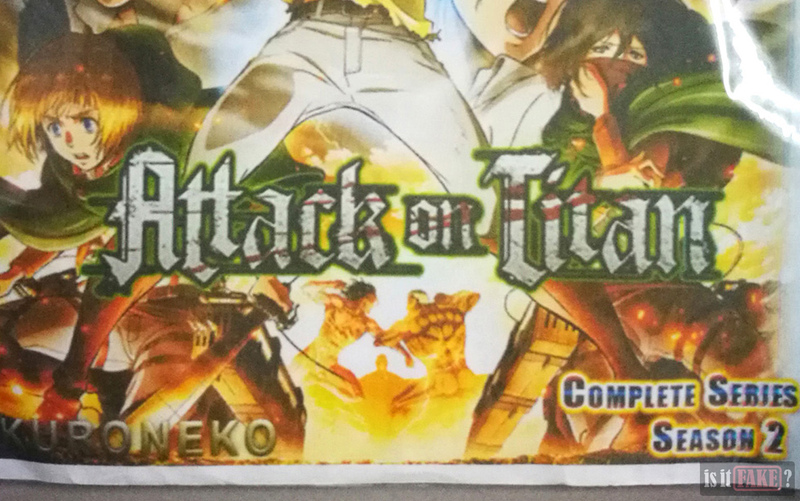 We discovered this particular Attack on Titan season 2 DVD in a small, poorly lit, nameless shop before one such raid. The external packaging is nothing more than a flimsy and clear plastic sheet with wrinkled edges. A green sticker showing the price of the DVD bundle can be seen on the upper left, while on the upper right corner we see that said bundle consists of two discs. You can see the “KuroNeko” name on the bottom left. Once we slipped the interior sleeve out of the plastic sheet, we discovered that it’s made of crumpled paper. The image on the sleeve was taken from a legitimate source. However, it looks like whoever was responsible for the package design set their printer’s print quality to “low,” as evidenced by the flat appearance of said image. As you can see for yourselves, the original image boasts vibrant colors and crisp line art. 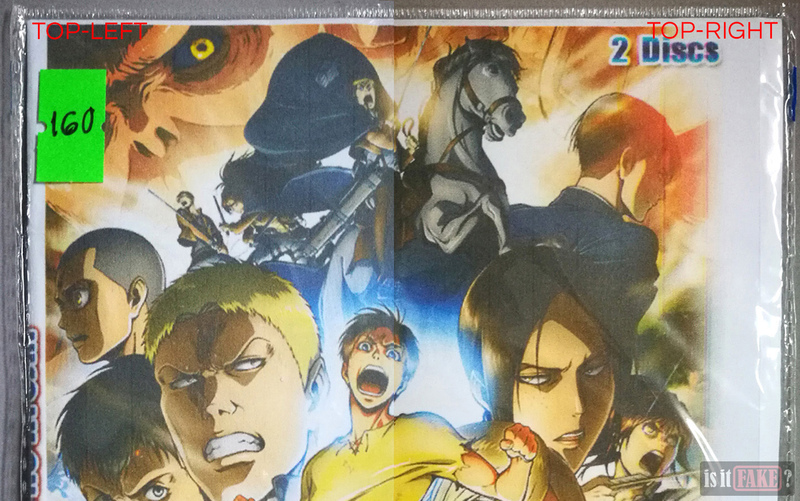 The story synopsis on the back is fairly well-written; that’s because it was lifted from MyAnimeList’s Shingeki no Kyojin page. 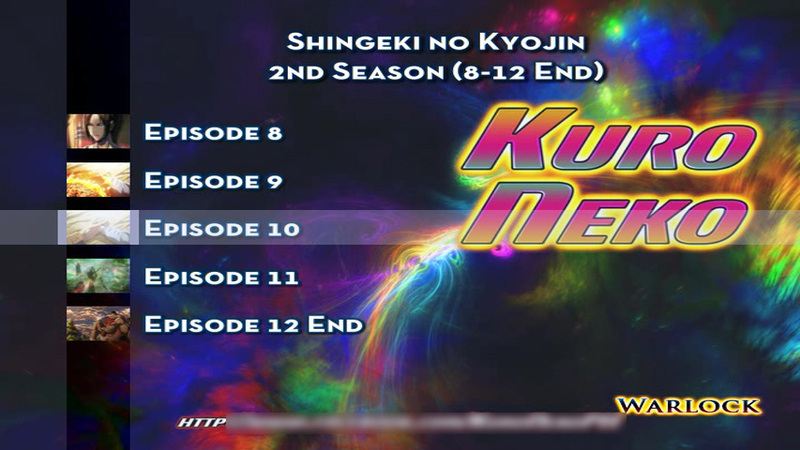 As you can see, it says nothing about season 2, the reason being it’s the premise for season 1. It’s also presented as little more than a wall of text, demonstrating that no effort was made to make the back cover look flashy or alluring. 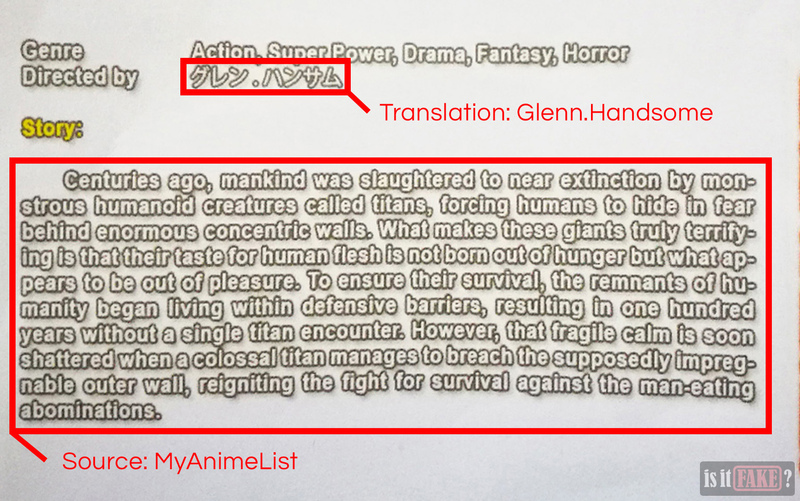 We’d also like to direct your attention to the katakana immediately following “Directed by.” This literally translates to “Glenn.Handsome.” This is puzzling, as the director on Attack on Titan season 2 is Masashi Koizuka. Below the synopsis is a link to Kuro Neko’s Facebook page – which has been taken over by the proper authorities. In sharp contrast to everything discussed above, original DVDs are often encased in a huge box made of sturdy, high quality cardboard, featuring magnificent artwork and vital licensing information. Let’s move on to the DVDs themselves. The DVDs are held together by cling wrap. It only takes a single glance to observe that the side of the disc that usually features eye-catching art lacks said art. Additionally, a felt pen was used to number the discs 1 and 2. 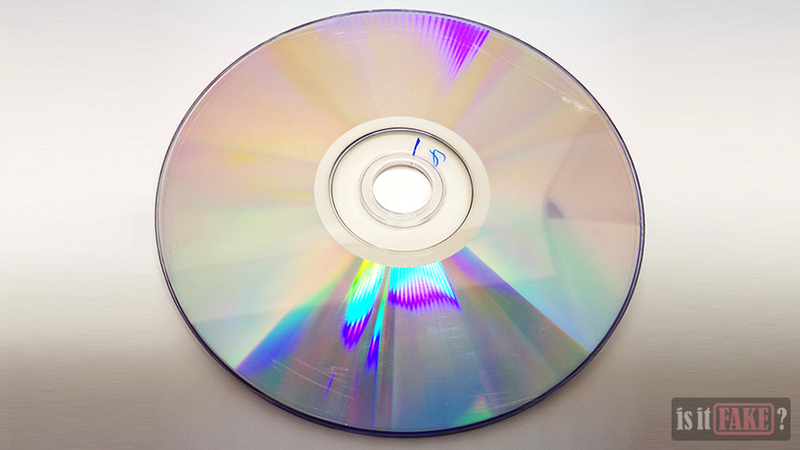 Original DVDs are often enclosed in a jewel case. This form of optical disc packaging usually comes with a panel insert boasting gorgeous artwork, and information about the product and its distributors and/or manufacturers. Some even include booklets. Unless you’re new to DVD collecting, you’ll also know the top of a disc should be adorned with more beautiful art. In other words, original DVDs boast an excellent, enticing presentation that will give you the confidence that what you’ve just purchased is a work of art worthy of a place in any display case. On the other hand, fakes are slipshod, hastily-put-together items created solely for the purpose of taking your money. Now on to the content of these fake DVDs. The PC media player has no trouble reading the DVDs. 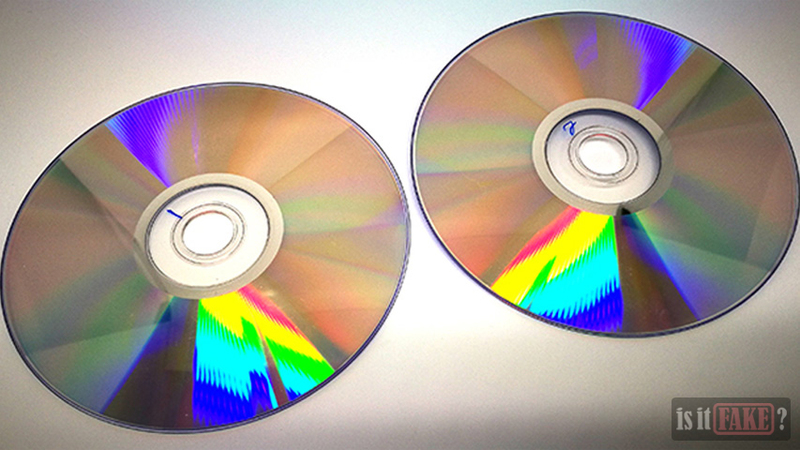 The moment a DVD plays, however, you’ll be taken to a garishly colored menu screen. 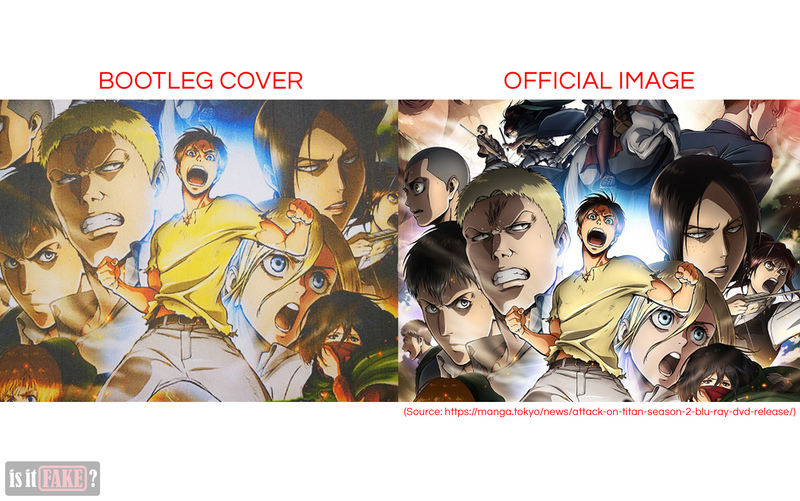 If not for the Shingeki no Kyojin title and the thumbnails, you’d never know what’s contained within the disc. You’ll notice a distinct lack of logos of any licensed anime distributors on the menu screen. We also don’t know who Warlock is, but it’s possible he or she designed said menu screen. After examining several episodes, it became clear the videos are hardsubbed. What does this mean? It means you can’t turn the subtitles on or off. There are also no options for subtitles in other languages. It is the same with the audio, which only consists of the Japanese audio track. Most authorized anime DVDs offer a surplus of options, such as multiple audio tracks, as well as subtitles you can turn on or off and that come in a variety of languages. Some DVDs even boast bonus features, such as minigames, character profiles, and more. Simply put, you really are missing out on a bunch of good content when you buy a fake. Take note: by free, we don’t mean illegal downloads. Those often come with viruses, and/or malware which leaves your PC at the mercy of hackers. It’s important to remember that anti-virus/malware software aren’t perfect, so they won’t be able to weed out all viruses and malware. If you’re a serious anime collector and a diehard Attack on Titan fan, you’ll probably want to purchase the officially licensed Attack on Titan season 2 DVD or Blu-Ray. There’s an abundance of legit anime stores online selling such products. These items are, of course, quite expensive. Thankfully, there are numerous cheaper alternatives. For example, depending on your region, you can avail of the services of numerous video on demand and streaming sites, such as Netflix, iFlix, and HOOQ (check out our Get-Animes page for other sources). 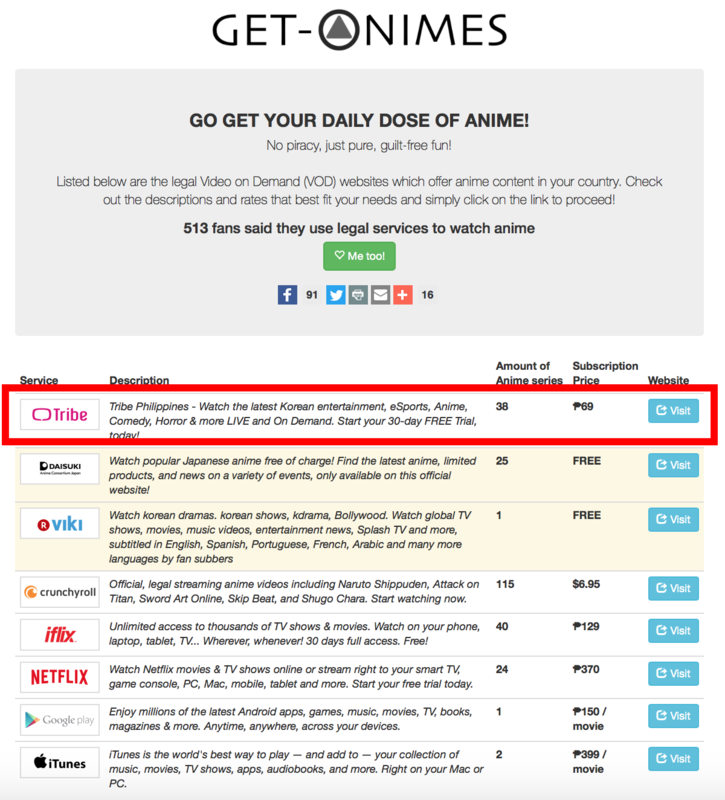 These sites offer plenty of anime for your viewing pleasure, not to mention some of them are completely free. Don’t worry, those that require subscription fees are super cheap, with prices ranging from $2.5 to $7. The best thing about these services is that for such an inexpensive fee, you’re given access to a bunch of other shows in addition to Attack on Titan. If you’re in the Philippines, we suggest you check out Tribe. 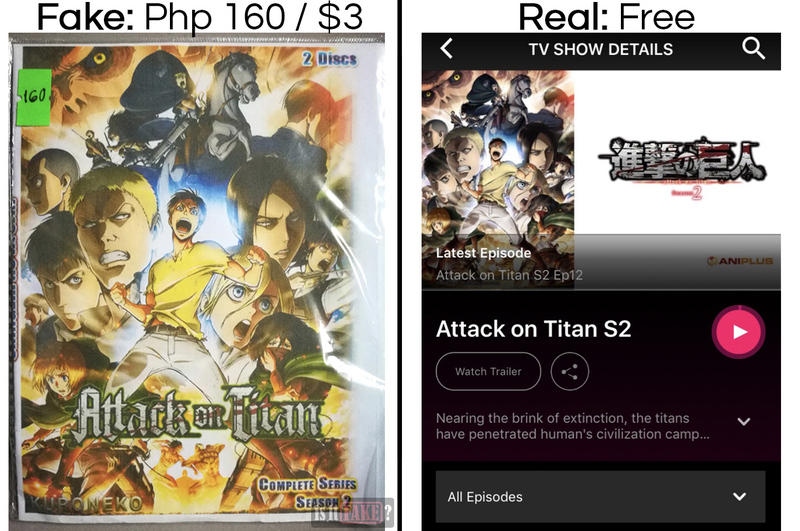 You’ll need to download an app for your mobile phone, but once you’re done with that, you can watch Attack on Titan season 2 for free. 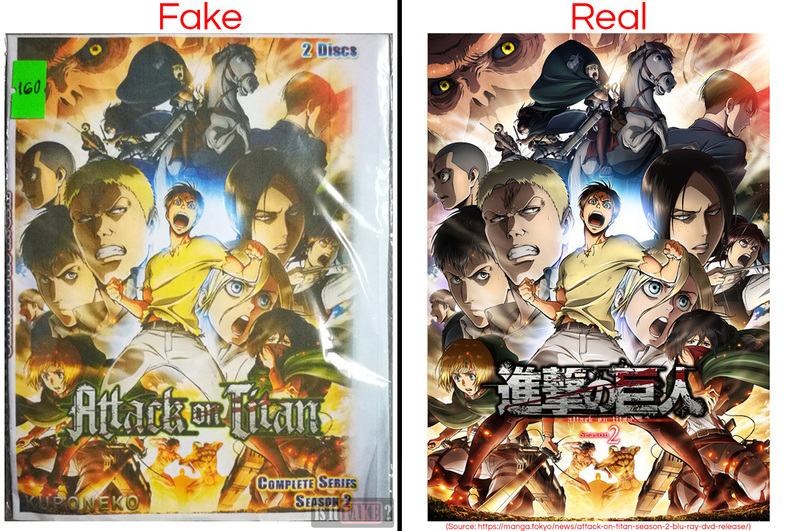 To those who are new to watching anime, a counterfeit DVD might seem the convenient choice. However, this is only because they’re not yet aware of the many safer, legal, cheaper, and higher quality options available to every anime fan. 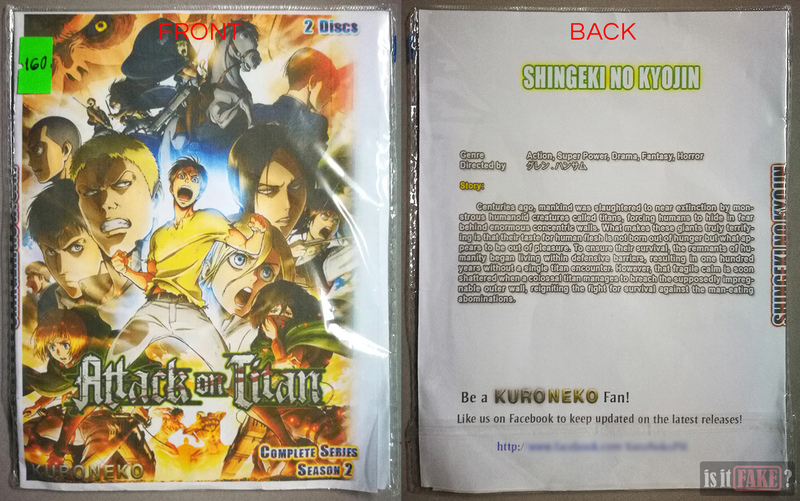 Therefore, the next time you feel the urge to watch a masterpiece like Attack on Titan, just remember: you don’t have to go looking for fake DVDs in questionable shops; you can stay in the comfort of your own home, and access the many legal online services available to you. Because of its horrible packaging and lack of features, we’re giving this fake Attack on Titan Season 2 DVD a score of 70% terrible.